Technical specifications for measurement instruments play an integral role in operating and purchasing decisions, helping you determine whether a pressure, temperature, level or flow solution will function accurately and safely in an application. In data sheets and other product documentation, instrument manufacturers typically detail the materials of construction, safe operating parameters and other critical information. Misinformation about such specifications can contribute to misapplication, which can potentially jeopardize the reliability and safety of operations. 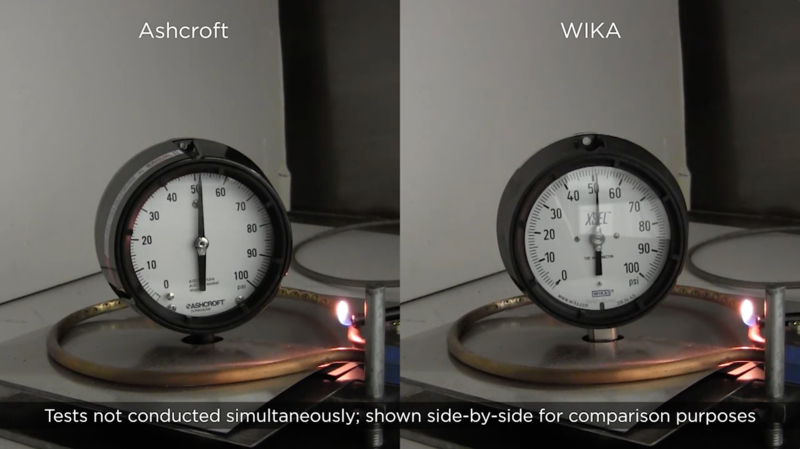 In the WIKA v. Ashcroft lawsuit, a jury and court found that Ashcroft, Inc. intentionally published false information concerning the flammability and safety of its 1279 Duragauge® product and made false claims regarding WIKA’s XSEL® process gauge. Specifically, Ashcroft mispresented the 1279 gauge case materials and its risk of spreading fire. This misinformation appeared in Ashcroft’s 1279 data sheet and a product information page. In WIKA v. Ashcroft, the jury and court found that Ashcroft falsely stated in its data sheet that the entire case material of Ashcroft’s 1279 Duragauge is made of a phenolic material, Plenco 02370, when the front ring and back cover of the gauge case are actually made of polypropylene.1 Based on Ashcroft’s testing and third-party testing introduced at trial, the type of polypropylene material Ashcroft uses for the back cover and front ring of the 1279 Duragauge® case burns, does not self-extinguish, and poses the risk of spreading fire when exposed to an open flame. Moreover, Ashcroft misrepresented the properties of the XSEL process gauge in its product information page. 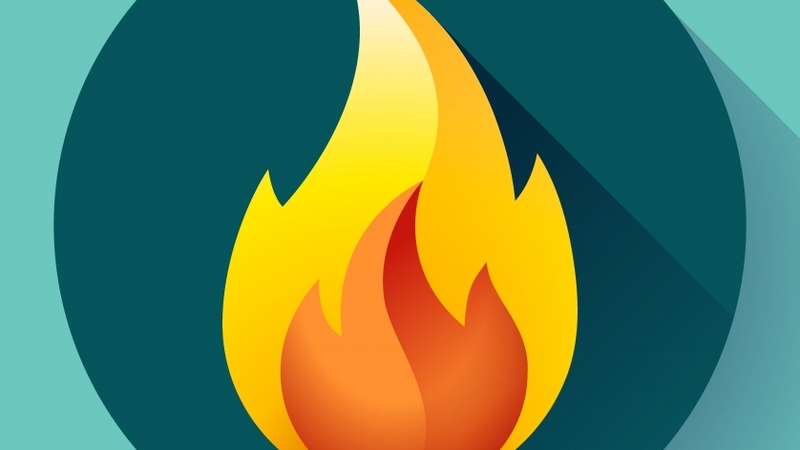 The court ruled that Ashcroft’s own open-flame testing actually showed that the XSEL gauge case, made from the specific thermoplastic Pocan B4225, immediately self-extinguished after exposure to the flame. However, Ashcroft publicized the opposite. The case recently settled after Ashcroft’s post-trial motions to reverse or vacate the judgment were denied by the court. To read more about the WIKA v. Ashcroft lawsuit and to review court documents and other resources, visit wika.com. Also, WIKA’s knowledgeable technical staff is available to answer any questions you have about the XSEL process gauge, and your pressure, temperature, level, and flow measurement requirements. 1 Polypropylene is used for the back cover of the dry case version of the 1279, other versions use a different non-phenolic material for the back cover, and all versions have a polypropylene front ring. UPDATE – May 16, 2017: According to Ashcroft’s 1279 Data Sheet revised sometime in May 2017, Ashcroft has apparently changed from the flammable polypropylene so that all versions of its 1279 gauges use polycarbonate for the front ring and back cover. (See 1279 Data Sheet, Rev. A 05/17). WIKA has not independently confirmed this product change, or when such versions of the 1279 became available to the market. Any 1279 gauges purchased before this change became effective still present the flammability concerns addressed above and in the lawsuit because they contain polypropylene back covers and/or front rings. According to Ashcroft, the entire case (body, front ring and back cover) of Ashcroft’s 1259 gauges are made from polypropylene. (Ashcroft 1259 Data Sheet “06/16”, available on Ashcroft’s website as of May 16, 2017).